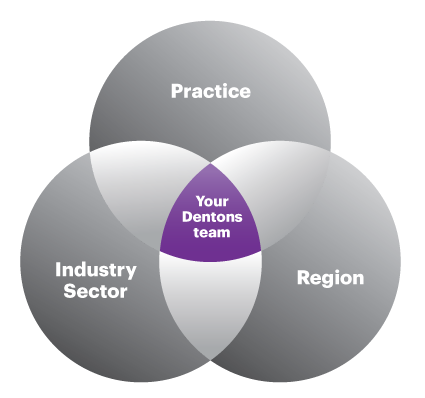 At Dentons, our formidable global presence and multijurisdictional capabilities are unmatched. Named by Law360 as one of the top five “mightiest” M&A practices, we offer an experienced team of more than 1,500 corporate lawyers acting for clients around the globe, via offices in more than 125 locations spanning 50-plus countries. To help meet your needs, we combine our presence in key financial centers and strong industry/sector knowledge with our established track record handling cross border multijurisdictional transactions and connecting work between mature and emerging markets. Dentons’ Global M&A Group is distinguished by our position as one of the very few global legal teams that is “in and of the community”— if not the only one that is truly so. Culturally knowledgeable and backed by decades of on-the-ground experience, we support the ambitions of local and international businesses the world over. We provide you with high-level sector capabilities, including one of the most renowned energy teams in the world and unparalleled strength in mining, technology, manufacturing, financial services, real estate, health care, private equity and industrials. AltaGas Ltd.: Advising on regulatory, commercial, and construction procurement matters and the development of the 195 MW Forrest Kerr Hydro-Electric Project and Northwest Transmission Line Project in British Columbia. Consolidated Thompson Iron Mines Limited: Advising on its acquisition by Cliffs Natural Resources Inc. for $4.9 billion. This deal was described as the most valuable deal of the 2011 first quarter in the global metals market in PwC's Q4 2011 report Forging Ahead and was credited by the Globe and Mailin January 2011 with helping to propel the Canadian dollar. EMI Group Ltd: Acting as US local counsel in connection with the sale of its worldwide music publishing operations to a consortium including Sony/ATV Music Publishing and the sale of its worldwide recorded music operations to Universal Music Group. The deal saw us advising, among other things, on the complex task of documenting numerous corporate transactions in order to separate the music publishing operations and recorded music operations from one another to make the successful separated sale possible. European Refreshments / The Coca-Cola Company: Representing European Refreshments, a wholly-owned subsidiary of The Coca-Cola Company, on acquisition of Nidan Juices, the fourth largest juice producer in Russia, from Lion Capital, a UK-based private equity fund. This acquisition will strengthen the Company’s commitment to Russia and exemplify its continued investment. JPMorgan Chase Bank N.A. : Advising this bank as ADR depository bank in connection with the US$323 million IPO of Mobile TeleSystems OJSC on NYSE. Katz Group Canada Inc.: Advising on the sale of its independent pharmacy banner business conducted by Drug Trading Company Limited and all of the shares of its independent franchise retail pharmaceutical business carried on by Medicine Shoppe Canada Inc. to McKesson Canada Corporation for CA$925 million. Sahaviriya Steel Group PLC. : Advising on the $468 million purchase of a mothballed steel plant in the north of England by Sahaviriya Steel Industries (SSI). The deal involved a multi-practice team for the complex asset acquisition and financing of a steel production facility, Teesside Cast Products, from Tata Steel Group. This deal represented one of the largest manufacturing transactions in the UK and was shortlisted for the “Corporate Team of The Year” at the 2012 Legal Business Awards. Sumi Agro Europe Limited: Advising on the creation of a pan-European alliance with Sipcam to develop and distribute agro-chemicals in various European countries, including Italy, Spain, Portugal, Greece, the United Kingdom, France, Germany, Belgium, the Netherlands, Luxembourg, Poland, the Czech Republic, Slovakia, Hungary, Romania, Moldova and Bulgaria. Teledyne Technologies Inc.: Advising on its $337 million acquisition of publicly traded DALSA Corporation (TSX: DSA) (DALSA) by plan of arrangement. Teledyne is a leading provider of sophisticated instrumentation, digital imaging products and software, aerospace and defense electronics, and engineered systems with operations primarily located in the United States, Canada, the United Kingdom and Mexico. DALSA, now Teledyne DALSA, Inc., is an international leader in high performance digital imaging and semiconductors. The company designs, develops, manufactures and markets digital imaging products and solutions, in addition to providing specialized semiconductor foundry services, with core competencies in advanced integrated circuit and electronics technology, software, and highly engineered semiconductor wafer processing. Total, SA: Advising one of the world’s largest publicly-traded integrated oil and gas companies on the sale of its French solar energy subsidiary Tenesol S.A. to SunPower Corporation, a Silicon Valley-based manufacturer of high-efficiency solar cells, solar panels and solar systems. Virgin Active: Advising on the acquisition of Esporta's UK business of 55 health clubs from Société Générale. Vivendi: Advising a French provider of multinational communication and media entertainment services on the sale of its interest in Polska Telefonia Cyfrowa, a Polish leading telecoms company, and related settlement of the shareholders’ dispute. Zarlink Semiconductor: Representing a leading provider of mixed-signal chip technologies for a broad range of communications and medical applications, on all US legal matters, including a US$500 million takeover bid initiated by Microsemi Corporation. A team of Dentons lawyers advised Camden Property Trust (NYSE: CPT) in a public offering that closed earlier today. The offering of 3,375,000 common shares is an underwritten public offering, and will allow underwriters a 30-day option to purchase an additional 506,250 shares. The offering is expected to raise approximately $330 million. Dentons is pleased to announce that the Firm has once again been named 'International Law Firm of the Year' by The Oath Middle East Legal Awards. This is the second consecutive year that the Firm has taken home the evening's top prize. The awards ceremony took place in Dubai on 5 December 2018. On 6 May 2019, Federal Law No. (2) of 2019 Concerning the use of Information and Communications Technology in Health Fields will come into force and effect. Although the Law is still reliant on the subsequent issuance of a number of executive regulations anticipated to provide further detail with regard to compliance obligations, there are a number of important aspects of the Law which organisations, individuals and other stakeholders should take note of at this point. Dentons has bolstered its UK Asset Management team with the addition of partner and investment funds specialist, Ted Craig, to its London Corporate practice. 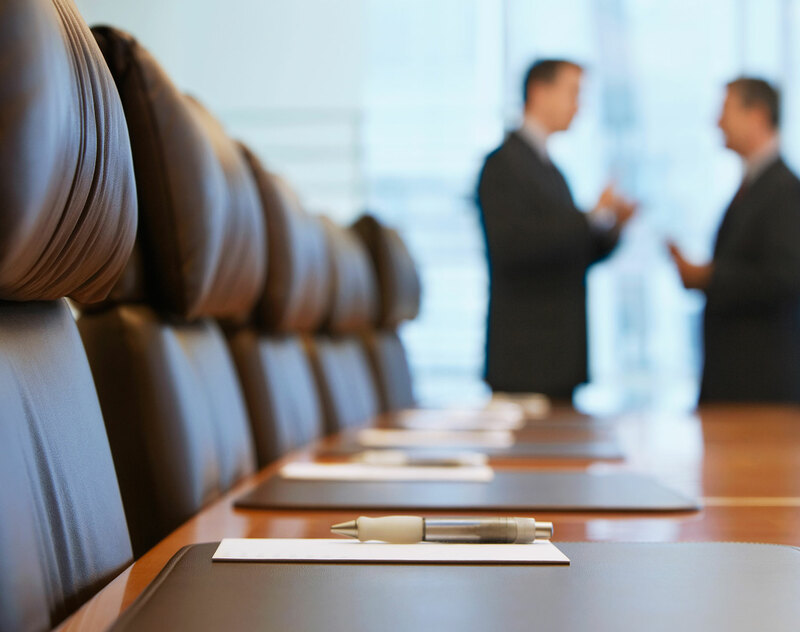 Dentons has advised AIM-quoted digital media and events business Bonhill Group PLC on its acquisition of Last Word Media, a related placing of shares on AIM, and a court sanctioned capital reduction.